HELPS Teas is an up and coming health tea brand that is brewing up a storm of new customers and creating interest with big tea drinkers including A-List celebrities. This brand of health teas is versatile, having product lines for both adults and children, catering from women with menopause to children with upset stomachs. The HELPS Teas’ parent company, Pharmadus, was founded in Spain in 1959, and has captured the hearts of high-end health conscious consumers all across Europe. For many of these consumers, these teas have become an essential household item on their shelves. This success has led to the creation of the more affordable, yet equally as effective, HELPS Teas. Although prices were lowered, the products value was not compromised, as high quality packaging was still retained, presenting the product in clean boxes with high quality tea bags. 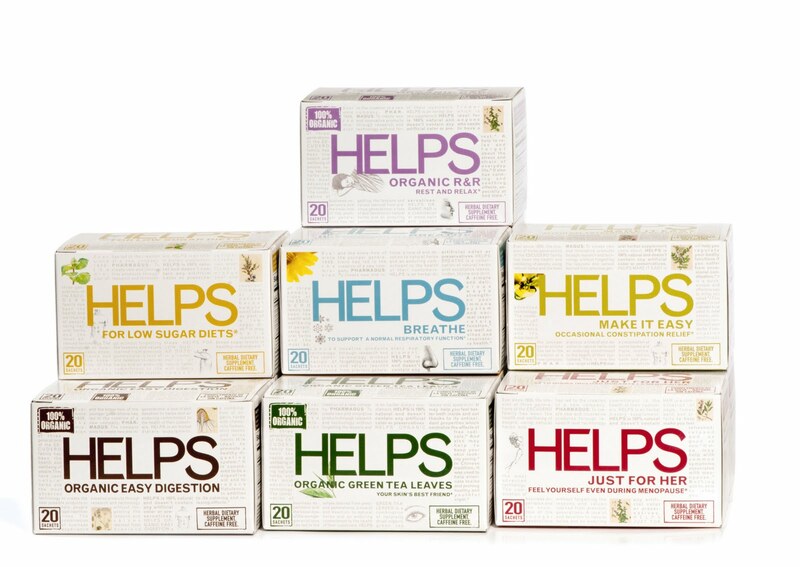 The HELPS Teas product line is being launched in the United States, in order to achieve similar household brand recognition by health conscious families across America. 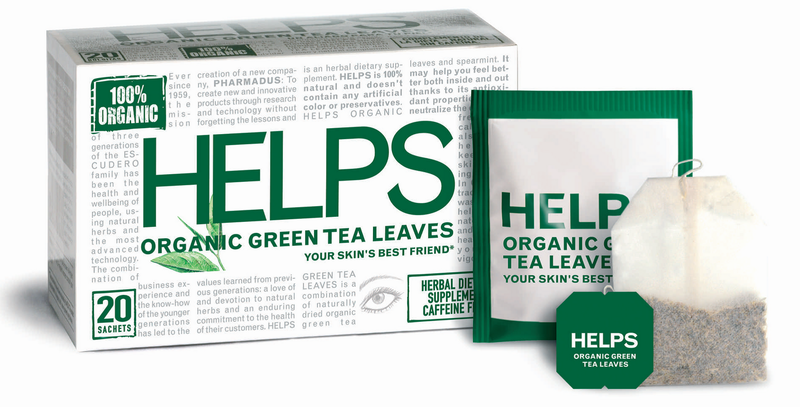 The products can be purchased online via their online store at www.helpsteas.com that was launched in early 2011, making it easily available to consumers across the globe. Through a series of tastings in a variety of wellness centers, awareness and excitement was created, making the launch a success. The HELPS Teas adult product line includes: JUST FOR HER, a menopause supplement; ORGANIC R&R, to help you relax after a long day; ORGANIC EASY DIGESTION, a digestion supplement; MAKE IT EASY, for constipation woes; BREATHE, to help you do just that; ORGANIC GREEN TEA LEAVES, for an overall improved well being; and FOR LOW SUGAR DIETS, that may help stabilize blood sugar! 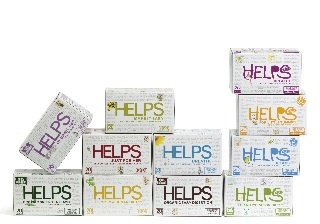 The HELPS Teas children’s product line, with flavors that are catered to their picky taste buds, includes: BREATHE, to alleviate your child’s cold and flu symptoms; DREAMS, to calm and relax them before bed time; FOR LITTLE TUMMIES, to promote relief from a variety of stomach problems; and FOR REHYDRATION DIETS, to help replenish your sick child’s fluid levels. When children (or adults, for that matter) are sick, it is NO FUN! Nobody likes to see their little baby ill, sad, and sick! A lot of times, there is nothing you can do for a child but let the virus run its course! That is the worst feeling for a parent! That is why I am so happy I now have HELPS teas, especially the children's line! They feature a great selection of teas that can help a child feel better when sick! My favorites are the BREATHE, that helps with cold and flu symptoms and FOR REHYDRATION DIETS that can help your child rehydrate after having the flu! I recommend HELPS teas for everyone of all ages! We all get sick at some point in our life and we could all use some help from these natural and organic teas! Buy It: You can purchase all HELPS teas on the HELPS Teas online store. Win It: HELPS Teas is generously offering (1) full line of either the Adult line OR the full children's line of HELPS Teas to a lucky winner! 1) This giveaway will end August 8, 2011 at 12:00 P.M. (noon) central time. 3) This giveaway is open to U.S. residents only and only one person per household is eligible to enter each giveaway. 6) Follow HELPS Teas on Twitter and Tweet that @thereviewstew sent you! 7) Grab my blog button and post it on your blog - let me know you did and the link to your blog in a comment. Winners will be chosen randomly by Random.org, contacted by email and HELPS Teas will send your prize by mail. Following your blog with Google Reader as well! Following The Review Stew on Twitter! Just became a Facebook fan of Helps Teas. entered the shed rain contest! I subscribe to your feed via google reader! I entered the May 23 shirt giveaway. I entered the Impel clothing giveaway. I entered the ShedRain giveaway. I entered the IdeaPaint giveaway. I follow with GFC as A. Tolar. I like the Review Stew on facebook as Alison Faith Tolar. I follow the Review Stew on twitter as @AFTolar. I like Helps Tea on facebook. I follow you on GFC as D.Dove/Heather and I'd love to try the adult line of teas!